Emily has a great eye for vintage, and vintage with potential. 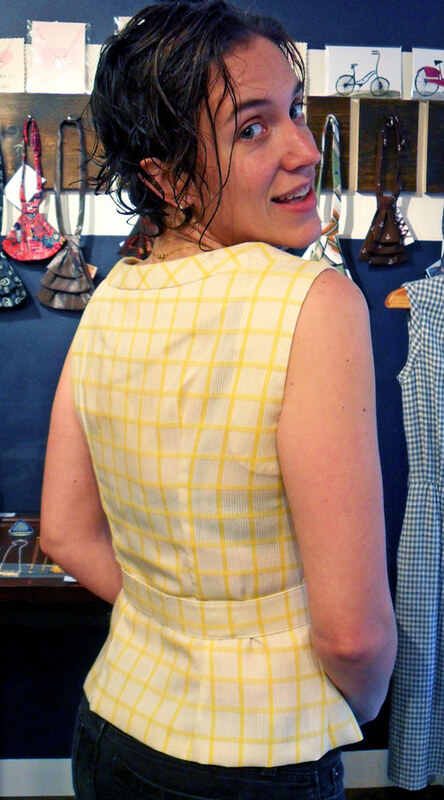 One day she came in with this adorable yellow and white shift dress. Unfortunately, the bottom half of the dress was see-through. But with such a great pattern and those cute buttons, Emily was determined to make it wearable. 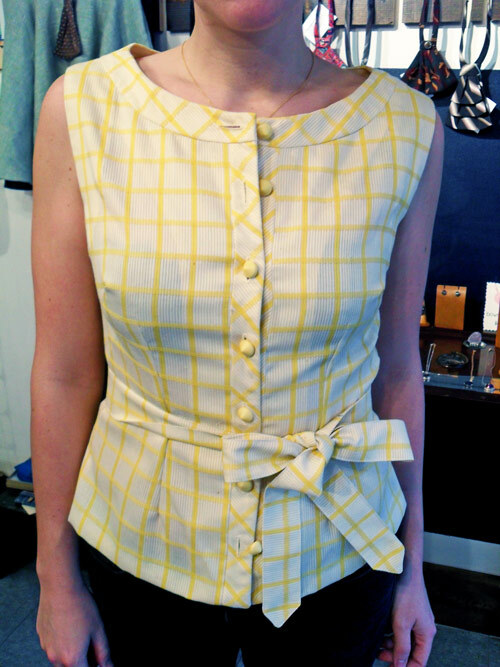 We decided to turn it into a top, which she could wear to work and casually–much more practical! We trimmed the bottom off, gave it a nice waistline, and used the extra fabric from the hem to make a belt. Do you have a dress with potential that you just don’t seem to be wearing, but can’t let go of? 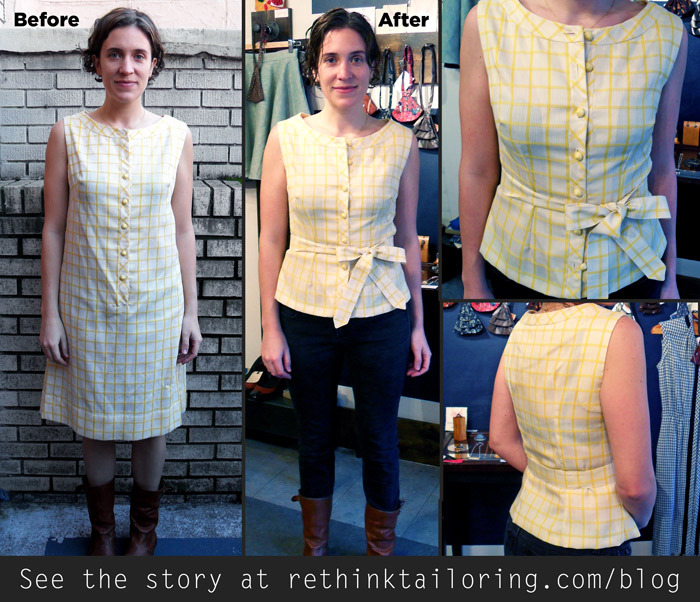 Email me at kristen@rethinktailoring.com and tell me a little about it! We’ll see if we can’t figure out a revamp solution!